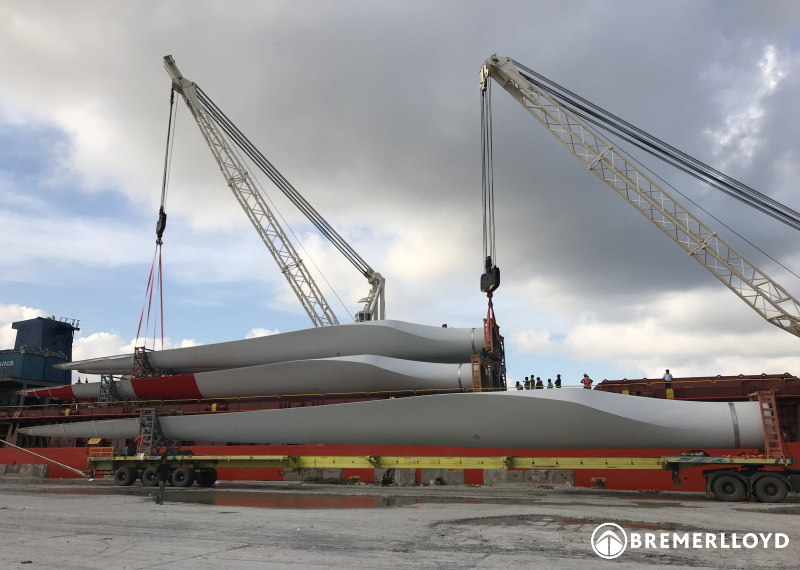 Bremer Lloyd performs the next transport of wind turbine generator components. 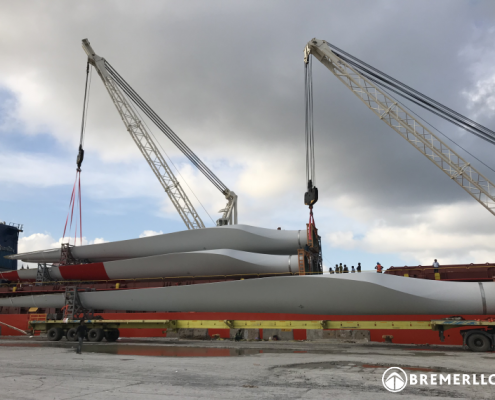 The scope consisted in the pre-carriage of the rotor blades and over 40 tons heavy head components from the factory, the sea transport and port handling at port of destination. Again Bremer Lloyd ensured a timely arrival one week ahead of planned delivery date.